Located on Mass Ave, Boston, this new Contract Brewery is set to be the first of its kind in the Greater Boston Area. The 25,000 sq. foot development will house state-of-the-art brewing facility to provide a location for craft brewers to produce, package and sell their products on a small to medium scale. 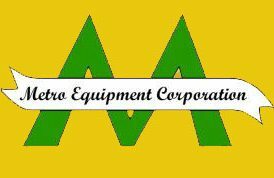 Metro Equipment were awarded the excavation and structural concrete package by the owner. The scope includes the use of innovative structural fill in order to cope with the slab settlement factors that occur when placing heavy brewery equipment on top of a structural slab.